Christmas Candles Watercolor Quilt Kit designed by Mim Schlabach exclusively for Whims Watercolor Quilt Kits. "She struck the match and lit the candles - the last festive touch, just as the door bell sounded!" 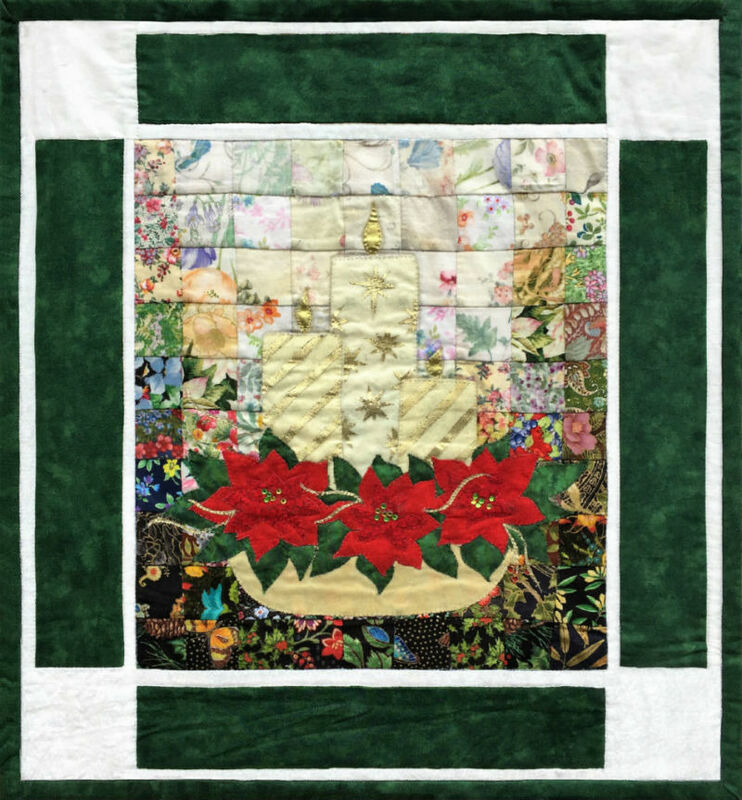 These individual block quilts would be perfect for wall hangings or for gift giving! Each block includes die-cut 2" fabric squares for the background, complete instructions, a color photo, as well as the appliqué patterns and fabrics needed to complete the watercolor project (borders and backing fabrics are not included). Finished block size is approximately 13 1/2" x 15" without the border. Whims recommends using Bosal Quilt Grid to speed up the process of sewing the background squares together. Using Whims quilt kits with Bosal Quilt Grid makes it easy for both beginners and advanced quilters to create a beautiful Watercolor Quilt!